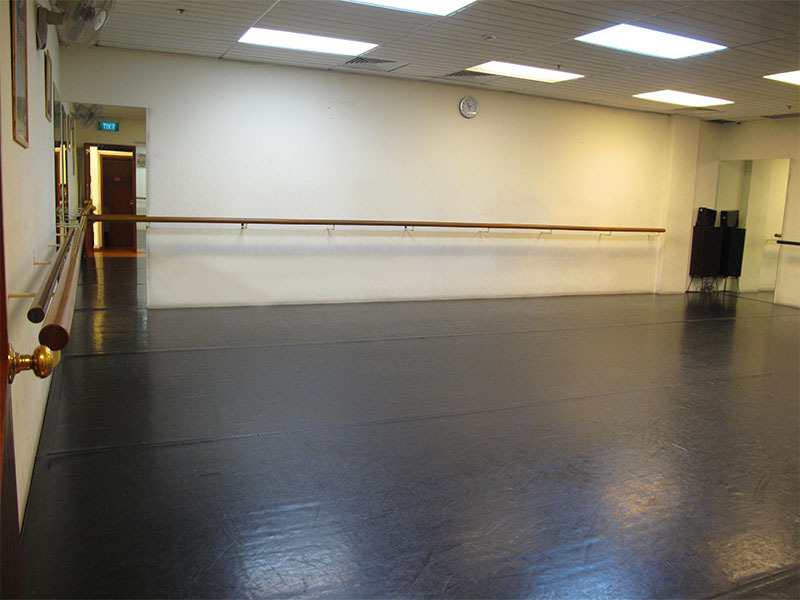 The Blue Studio is one of the two medium-sized studio at Dance On Us, and is squarish. The other medium Studio is the Silver Studio. Like all the other studios, it has high quality teak timber sprung floors, overlaid with a professional multi-purpose dance mat. 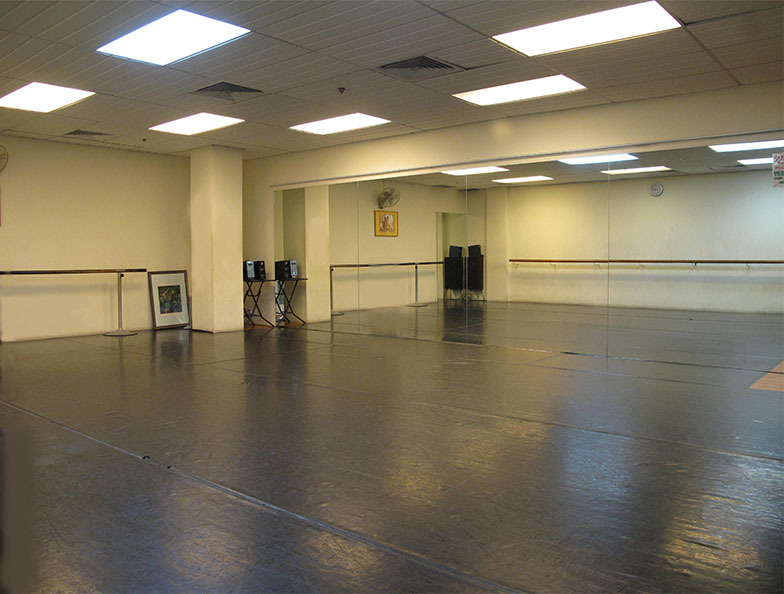 The studio is fully equipped with full-length mirrors, ballet bars and a professional audio system. (Payment by Cash, cheque or Internet Banking only). Studio booking is confirmed upon payment. This offer is only extended to ad hoc bookings of within 30 days from the date you make the booking. This offer is only available when the smaller studio is not available. If the number of people using the studio is more than the number listed by you and is the limit outlined by Managemnt, the normal price of the utilized Studio will apply. You will be required to make a cash top up immediately before commencing with your session. If you have any questions, please call 6737-4466 or 96600093 for clarifications on this special rate arrangement!